The “total control” model can be shown diagramatically like this. 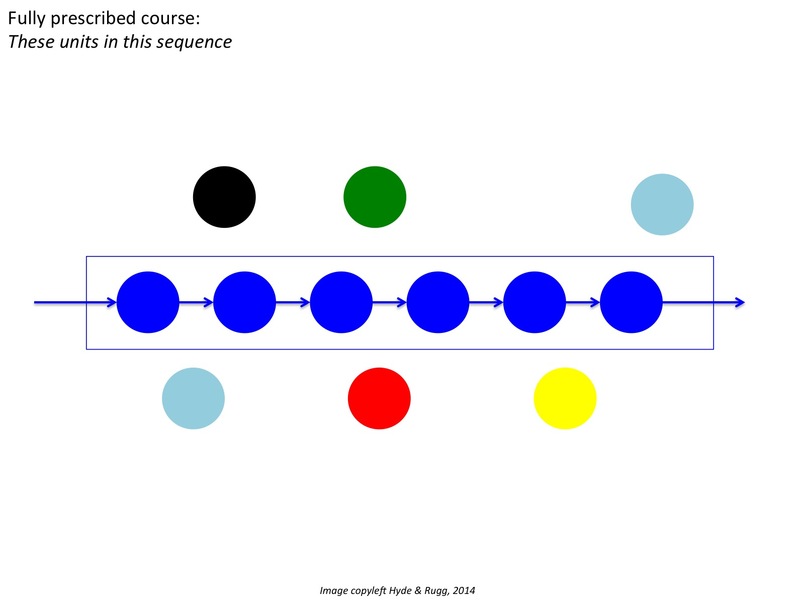 In this model, the course consists only of the topics represented as dark blue circles, which have to be covered in the prescribed sequence. 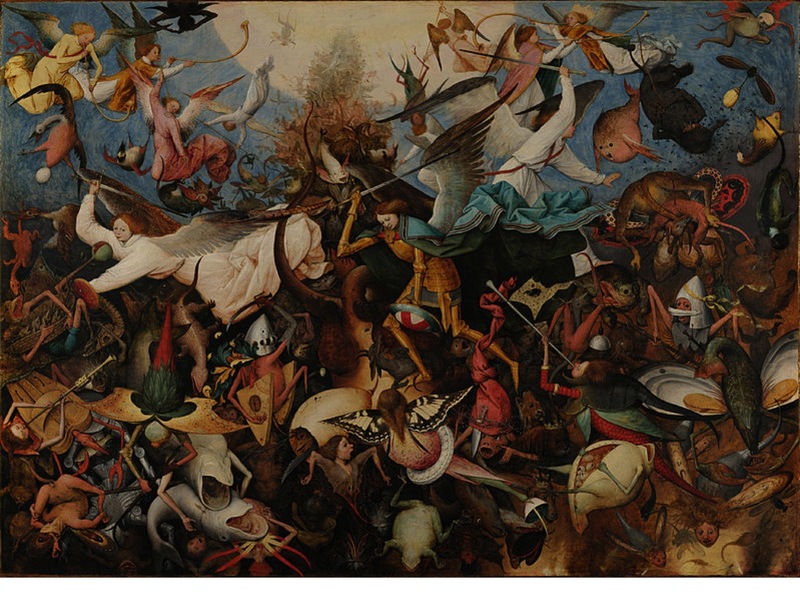 People who argue for this model tend to make the implicit assumption that the only other possibility is complete chaos, like the image below. 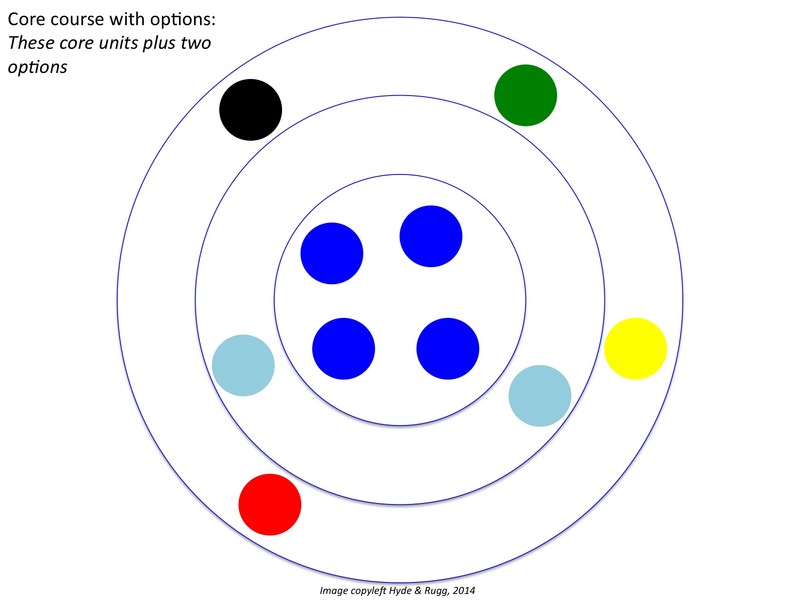 In this model, the student can do whichever components they want, in whichever sequence they want, and with no constraints on the number of components they take or on the amount of time that they take. However, those aren’t the only possible options. There are others, such as the one below. This image shows a model commonly used in student-centred learning, where there is a prescribed set of content (i.e. only the dark blue modules) but where there are no constraints on the sequence in which those topics are covered. The student-centred model is often misunderstood. One common misconception is that it does not involve any restrictions on the content of the course. 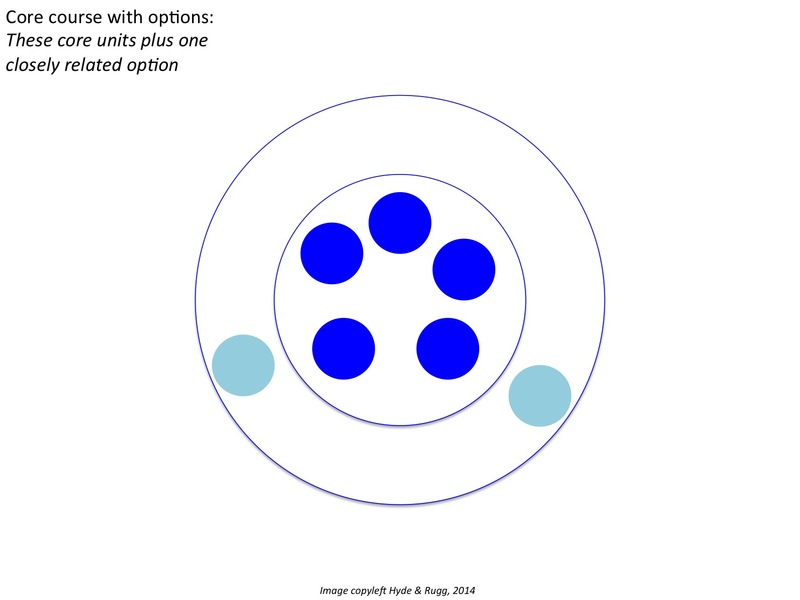 As the diagram above shows, this is not necessarily the case; it’s perfectly possible to use student-centred learning in combination with a completely constrained set of topics. Another common misconception is that a course needs to be covered in a particular sequence so that the students learn foundational concepts before moving on to higher-level concepts that build on those foundations. This sounds plausible, but it’s a simplification that doesn’t take account of the realities of how students actually learn. That’s a big topic that goes outside the scope of this article; I’ll return to it in later articles. Returning to models of course structure, another common model is of a core set of topics, plus an option chosen from a limited set of closely related topics, as in the diagram below. An example would be a student on a maths degree course who chooses to do an optional module on statistics. A related, but not identical, model involves a core set of content, plus a broader set of options, that include topics quite different from the core content, as in the figure below. An example of this would be a history student who does one optional module on politics and another optional module on fine art. 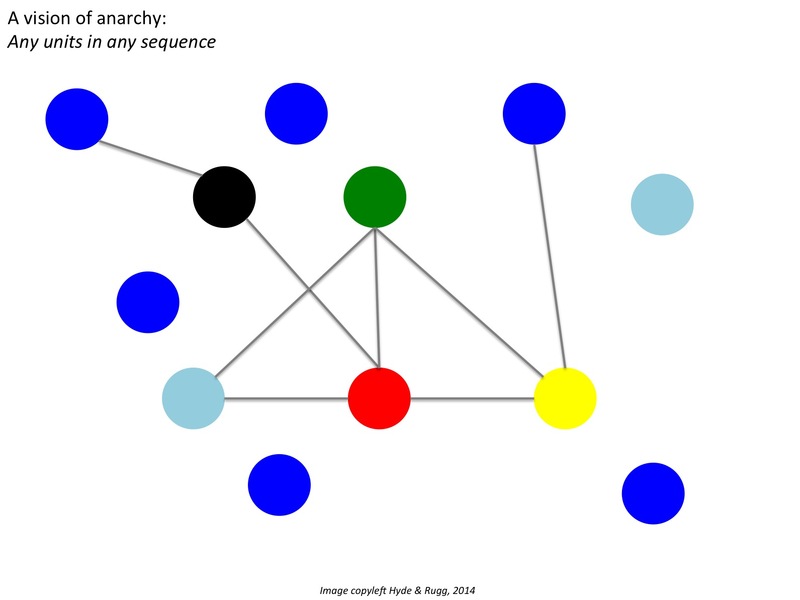 So, in summary, structure in a course does not need to mean rigid control of every aspect of the content and sequence, and student choice does not need to mean chaos and anarchy. There are other ways of tackling the issue. I’ll stop here, on that encouraging note. I’ll return to the issue of student learning in later articles. The Hyde & Rugg images above are copyleft; you’re welcome to use them for any non-commercial purpose, including lectures, provided that you retain the Hyde & Rugg copyleft attribution. 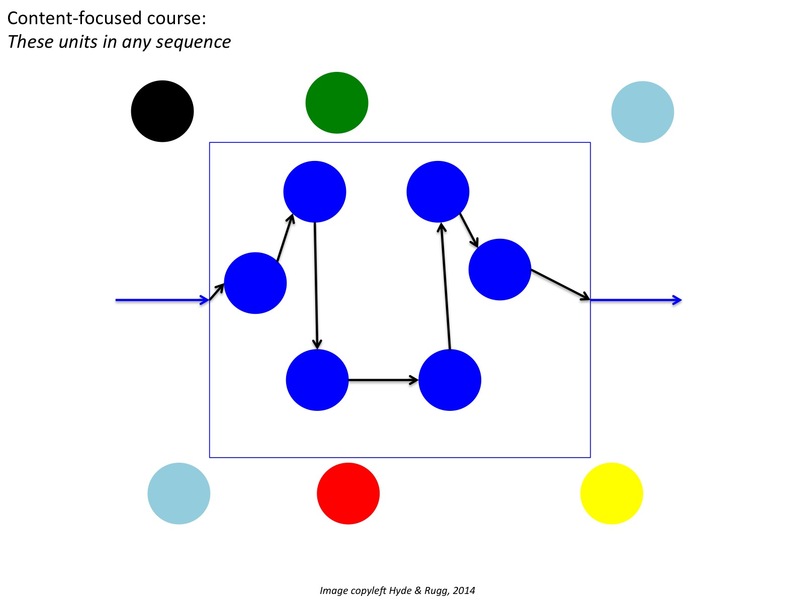 This entry was posted in education theory, visualisation and tagged curriculum design, project-based learning, student-centred learning, syllabus design by hydeandrugg. Bookmark the permalink.